We often need to replace NULL values with empty String or blank in SQL e.g. while concatenating String. In SQL Server, when you concatenate a NULL String with another non-null String the result is NULL, which means you lose the information you already have. To prevent this, you can replace NULL with empty String while concatenating. There are two ways to replace NULL with blank values in SQL Server, function ISNULL() and COALESCE(). Both functions replace the value you provide when the argument is NULL e.g. ISNULL(column, '') will return empty String if the column value is NULL. Similarly, COALESCE(column, '') will also return blank if the column is NULL. The only difference between them is that ISNULL() is Microsoft SQL Server specific but COALESCE() is the standard way and supported by all major database like MySQL, Oracle and PostgreSQL. Another difference between them is that you can provide multiple optional values to COALESCE() e.g. COALESCE(column, column2, ''), so if the column is null then it will use column2 and if that is also null then it will use empty String. 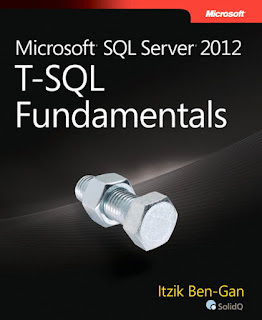 For SQL Server and T-SQL beginners, I also recommend reading Microsoft SQL SERVER 2012 T-SQL Fundamentals, one of the best books to learn the T-SQL concept. Let's first see, how to use ISNULL() to replace NULL String to empty String in SQL SERVER. In order to understand the problem and solution better, let's create a sample database with some values. You can see that even though one of the joining column is NULL but full_name is not NULL anymore because ISNULL() is replacing NULL values with a blank. That's all about how to replace NULL with empty String or blank in SQL SERVER. You can use ISNULL() or COALESCE() to replace NULL with blanks. It's particularly important to use these function while concatenating String in SQL SERVER because one NULL can turn all information into NULL. Btw, you can also use CONCAT() instead of + operator to avoid NULL, this function returns the value of nonnull argument if another argument is NULL. Between ISNULL() and COALESCE(), use ISNULL() if you know for sure that your code will run on Microsoft SQL Server but COALESCE() is better because it's standard and you can use it to replace NULL with empty String in any database e.g. Oracle, MySQL and PostgreSQL. Thanks for sharing the information. Generally, it is recommended to stick to standard features unless there’s some flexibility or performance advantage in the non-standard feature that is a higher priority. ISNULL is actually more limited than COALESCE, so generally, it is recommended to stick to COALESCE.